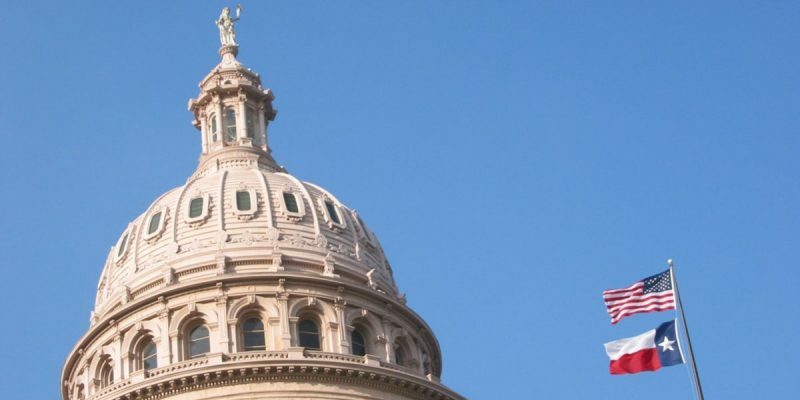 Here in Texas, the most popular representatives in the state legislature (at least for liberty lovers) tend to fall on the far right of the political spectrum. The traditional logic is that those on the far right are the most fiscally conservative, while moderate Republicans tend to align themselves with big government Democrats. But perhaps that logic doesn’t hold as much water as it once did, especially when we’re so often blinded by political grandstanding at the expense of the taxpayers. Rice University’s Mark Jones sorted each member of the Texas State House from liberal to conservative and noted their party affiliation. He identified three representatives as being the most conservative by far, and virtually indistinguishable from one another: Briscoe Cain, Matt Rinaldi, and Jonathan Stickland. Stickland has made a name for himself in the Texas liberty movement, while Cain is a newer member who has worked with Stickland in learning the ropes of state politics. Rinaldi, who happens to be my representative, is also popular and recently had his own claim to fame/infamy by threatening to call ICE on immigration protesters. Though the exact details of the dispute are up for debate, Rinaldi’s outburst highlights a couple issues with the notion of supporting candidates primarily based on their supposed ideology (without digging deeper). Whatever one might think of immigration issues, and deferring to those who are less than fully libertarian in this case, we must nonetheless respect the First Amendment right of those who are protesting and not resort to intimidation of protesters and political opponents. Further, his choice of words towards House colleagues is disturbing at best. As someone who voted for him in a close contest against a former incumbent he ousted, it’s not something I want to see from my representative. This issue hit particularly close to home for Zerwas, who is both a medical doctor and someone who lost both parents and his wife in a span of just 15 months due to cancer. After it became clear that he was outmatched (at least on this issue), Cain eventually admitted, “I recognize that you know about this and I don’t. My apologies.” Rep. Sarah Davis moved to table, and the amendment was withdrawn. The Jones diagram comes back into play here, as Rep. Davis is on the opposite end of the Republican spectrum. While more conservative than any Democrat, she is also more liberal than any Republican in the State House (with the exception of Speaker Joe Straus) and is the furthest apart from any other representative in the ranking. In contrast to the three staunch conservatives already mentioned. Davis is notable not just for these reasons, but for other instances where she took a stand. She was the only Republican to vote against SB 8, which would impose restrictions on abortion while still attempting to comply with restrictions imposed by the Supreme Court after passing a similar bill, House Bill 2, in 2013. Like immigration, abortion is a contentious issue, but where there is no doubt is that the State should not waste taxpayer money on bills that have already been deemed unconstitutional. Political grandstanding can be a costly endeavor, especially when Texas already owes $4.8 million for HB 2. Legislators should bear that lesson in mind and revisit the bill in the current special session before making the same mistake twice. We simply must find a way to reduce abortion rates while remaining fiscally conservative. As Texans who support liberty, we should examine how we approach promoting limited government in Austin. We should examine the qualifications and policy positions of candidates thoroughly, and evaluate who would best support liberty while eschewing groupthink. We should also be active outside of candidate campaigns, fighting for important issues and affecting party platforms for the better. If we do this, we will undoubtedly provide the Texas liberty movement with a solid base to win in 2018 and beyond.